Whenever you start a fitness program don’t you always feel that success will come your way? The problem is it does not always work out that way. As a matter of fact, most workout program participants fail to realize their dreams. More than often fitness exercise program participants get quickly frustrated, and eventually give up on their exercise programs. Patience dwindle, and hope fades away. The frustration most often occurs when making 3 fitness program errors. 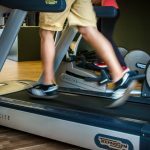 By avoiding these workout results killers your exercise program has a greater probability of success. Please do not fall for the three most dangerous workout program mistakes. 1. Not designing, and closely following your specific plan. If you fail to carefully plan your workout program prior to starting a routine, then you are most likely not going to succeed. It is crucial to devise a custom fitness program that is tailored toward your individual wants, and needs. When I mention design a workout plan it involves writing out your specific goals, and scheduling your training sessions on your calendar. You will ultimately know exactly when your exercise sessions are to be conducted, what specific routine you will do, and for how long the workout will last. These variables are fully thought out, and added to paper prior to beginning your workout exercise program. Success is about realizing what you really want to accomplish, why you want to accomplish it, and by taking action as set forth in your exercise plan. The bottom line is don’t start a workout program unless you have a well thought out plan in place. 2. Failure to incorporate the necessary fitness components. The fact is the people who do not have a clear cut exercise workout plan in place simply decrease their chances of success. People who wish to decrease fat tend to commit only to cardiovascular exercise, and fail to compliment it with weight training. The result generally is a lack of progress. Using the best possible plan to reach your workout goals is the smart way to go? Yes, it ultimately comes back to your fitness exercise program planning. Strength training, cardiovascular, and flexibility work are the three main components of any fitness program. Depending upon your individual goals, it is necessary to place emphasis differently on each of these components differently. Remember, workout goals are different from person to person, just as some people wish to lose fat, others have a burning desire to add muscle. Make sure your fitness plan has taken these three variables into account. 3. Not generating adequate intensity. 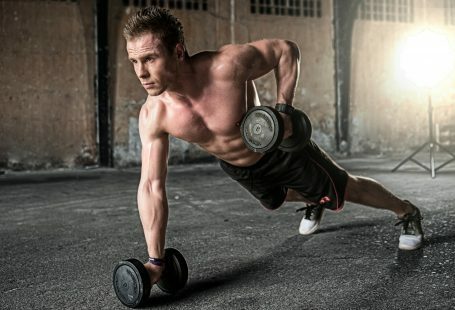 Amazing workout program results takes an investment in effort! The fact is if you don’t challenge yourself your exercise results will suffer. I always recommend for my fitness training clients to work up a sweat during a workout session. The sweat factor is a good gauge of exercise intensity. Of course, a smart workout program participant will progressively increase intensity over time. Along with not working out hard enough, consistency is a mandatory variable in order to reach your fitness program goals. As stated earlier, it all starts with your beginning workout plan. You will know exactly when you are working out, each week, because the exercise time will be scheduled on your calendar. Planning ahead is everything. Whatever you do, avoid these 3 most common fitness program mistakes. Doing so will help improve your chances of accomplishing your goals.